I try to give my paintings a luminous, rich quality by laying down thin layers of oil paint on paper. The layers are built up slowly after each has been softened and blended. 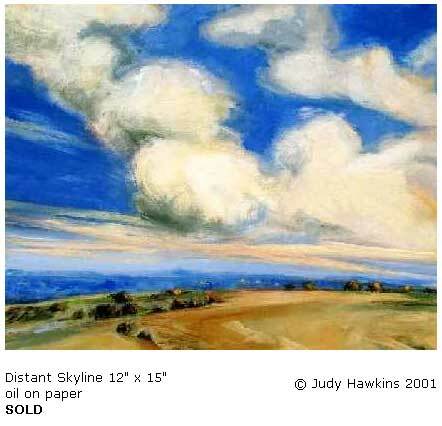 Many of my paintings explore silhouettes and shadows of trees and hills against the sky.